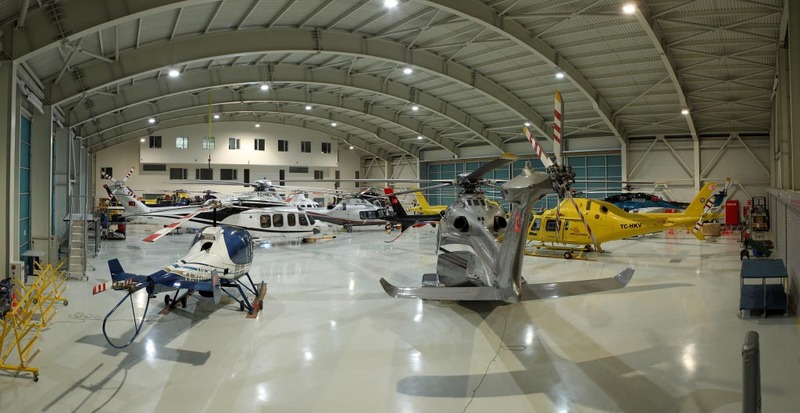 In 2011 Basari Group decided to manufacture a helicopter hangar and heliport for Kaan Air that would meet the need. The hangar was completed in 2012 and had its grand opening with the attendance of Ministers and all the senior management of the partners. 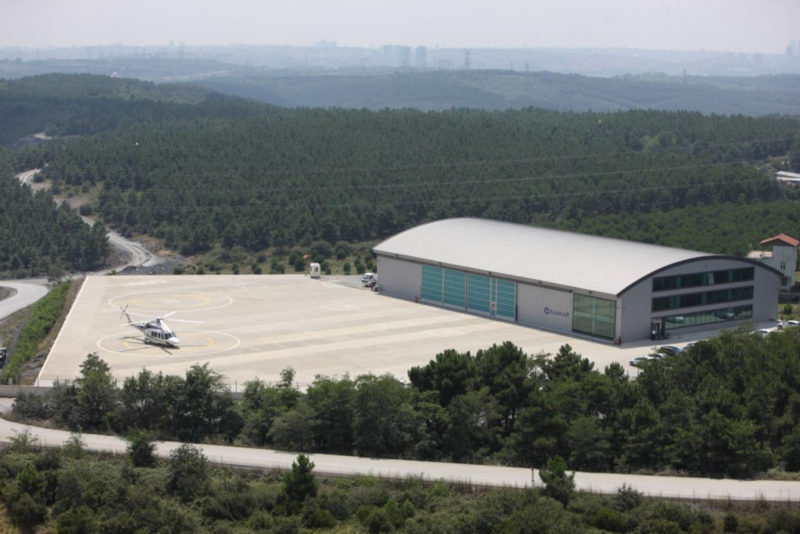 Kaan Air heliport is in Istanbul Ayazağa and currently is Turkey’s largest private heliport which is also the biggest in Eurasia and Balkan Regions. In its facility there is space for landing-takeoff area and maintenance services. The enclosed area of the hangar, constructed next to Kaan’s heliport, is 1800 m2 and has epoxy-coated floor. It has a capacity to house 16 helicopters, the hangar has adequate number of workshops, as well as fully equipped offices and depot areas. 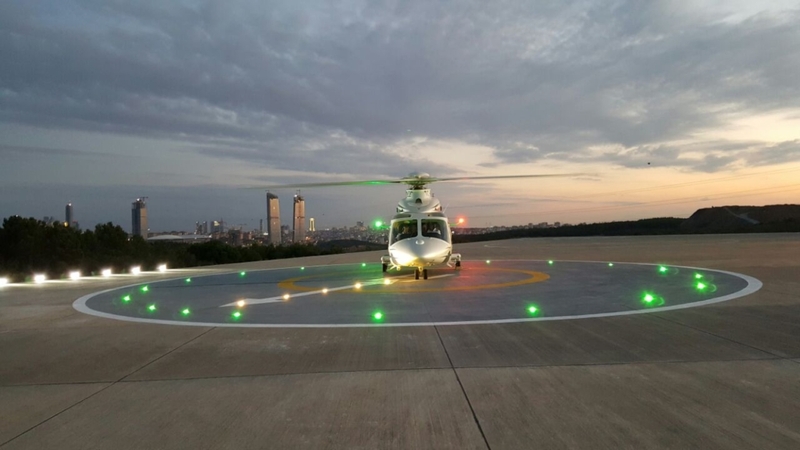 KAAN HELIPORT, that is located in Ayazaga-Istanbul, has now been fully adapted to night flights and operations. An official certification, “Eligible for Night Flight”, has been taken by the DGCA. 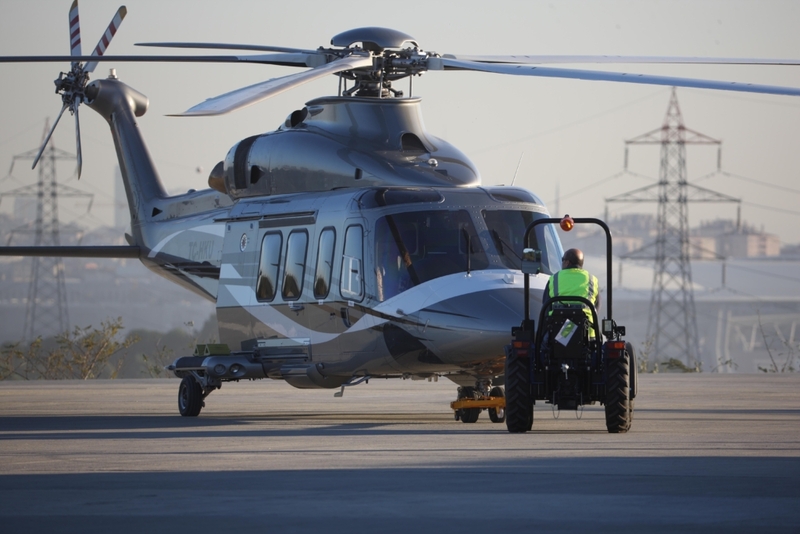 KAAN HELIPORT, which was allowed to operate for day-light operations, can now serve a 24 hours service over Istanbul. Additionally, KAAN HELIPORT is expected to be used extensively at night also for aerial filming and photography. Once more Kaan Air has proven to continue its innovations and investments for the aerial market.